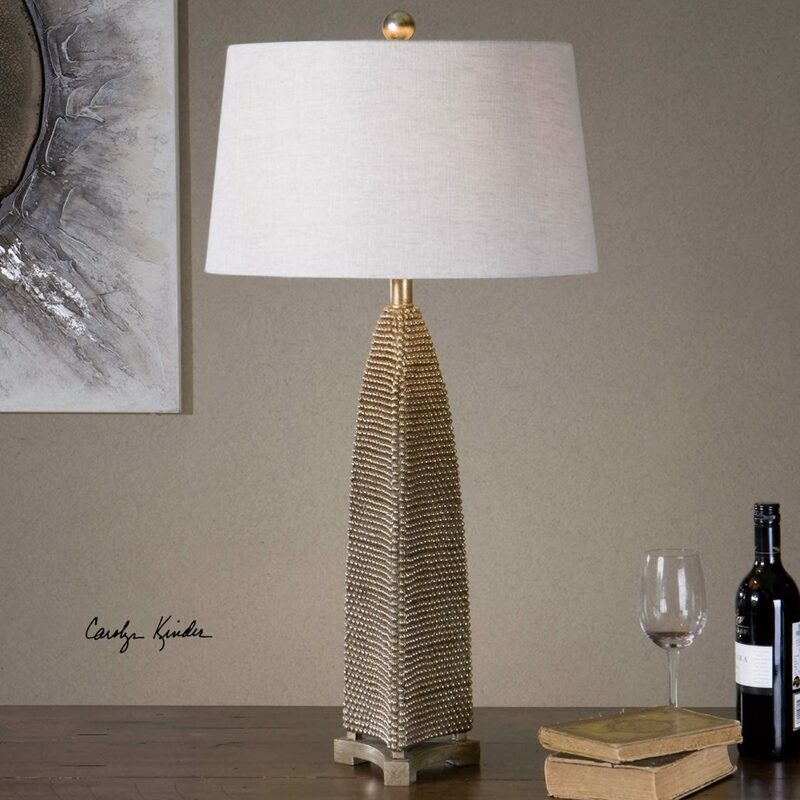 Designed by Carolyn Kinder International, the Kolva Silver Beaded Lamp has a heavily beaded texture finished in an antiqued silver leaf with a dark gray wash. The tapered round hardback shade is a light taupe gray linen fabric. Available to trade professionals at Uttermost.com. For retail purchase Google keyword “Carolyn Kinder Kolva Beaded Lamp”.